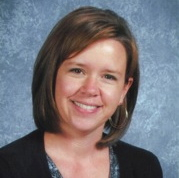 Dana Murphy has been an educator for 17 years in Illinois. She was an elementary teacher for eight years and coached for nine. Dana is now in a fifth-grade classroom. Dana wrote for the Two Writing Teachers blog for many years. Student centered? Teacher centered? Dana Murphy finds that one of her most important jobs as a literacy coach is defining her role. Here's a fun notetaking strategy to try. Ellie Gilbert records snippets of conversation from Katie Doherty's students, and then uses them in a debrief session to discuss student strengths, needs, and next steps.